The author, Paul G. Kent, is a senior partner with the law firm of Stafford Rosenbaum in Madison, Wisconsin. He has over 30 years of experience in representing municipalities, individuals and businesses on water law issues. During that time, he has helped shape water law through representation of clients in the legislature, in state and federal courts, and in Department of Natural Resources rulemaking and permitting proceedings. 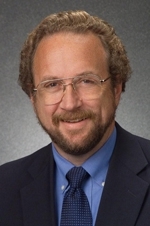 He has been an Adjunct Faculty member in environmental law at the University of Wisconsin Law School since 1989 and is a regular speaker on water law issues at public and private seminars.